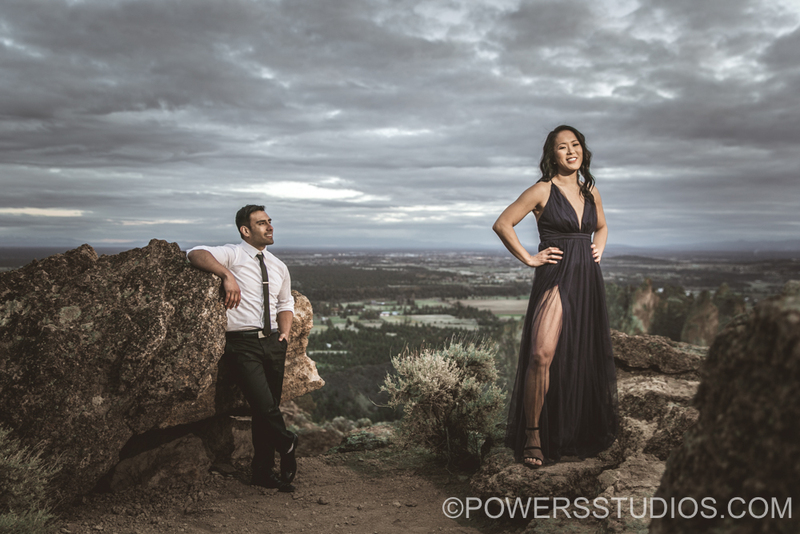 From the moment we started planning, Teonna and Luis knew without a doubt they wanted to have their engagement session at one of their all time favorite places: Smith Rock State Park… And I happily accepted the challenge! Together, we had an incredible adventure hiking up to the summit of Misery Ridge to catch the sunset. Thank goodness there were so many stunning viewpoints and photo opportunities to stop at along the way; not that Teonna and Luis needed the rest breaks or breathers – but I sure did! Then there was the view from the top!!! Let me tell you, the sunset did not disappoint; it was absolutely worth every bit of effort it took to get there. And huge props to Teonna who hiked all the way back down Misery Ridge wearing her formal gown!